This is Kelly and Chris! We had so much fun running around one of my favorite towns, Granville! Such a quaint little place, and we shot at Bryn Du Mansion which was absolutely gorgeous! 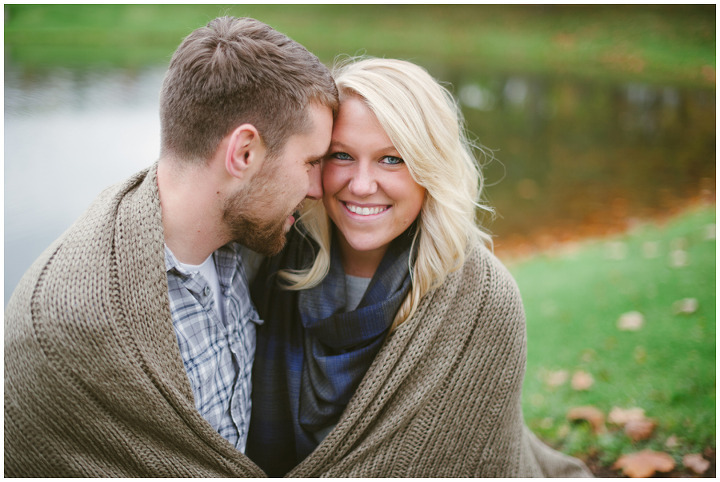 The leaves in this session just make me ache for Fall… So beautiful! Can’t wait for Chris and Kelly’s wedding September 2015!! Such a sweet couple, it is so clear how much fun they have together! Congrats to Kelly and Nate on their gorgoues Fall High Line Car House wedding! Loved being a part of your day and so excited to share your love story! This was my first NYE Wedding EVER! And I had SO much fun shooting it! My husband, Nick was my 2nd that day and we had a blast. I loved Ramsey’s cute details and all the gold sparkle. It was SO cold outside, and definitely made the photos challenging, but oh my goodness… THAT SUNSET. Worth it! Check out the girls bridesmaid dresses too, some of my absolute favorites! Ramsey and Ryan had such a pure, genuine union… it was an honor to be a part of it. Congrats to you two! Love reliving your day! Meet the lovely Julia and David! Had so much fun getting to know these two over the past year. Was so excited for their Winter Wedding in the Ohio Village at the Historical Society. Always love to shoot somewhere new! What a quaint space to get married. Loved everything about their day.